CentraForce, a population-centric intelligence provider, is pleased to announce the recent election of Stephen L. Newman, M.D., as Chairman of the Board. Dr. Newman has over 30 years of experience in strategically growing and managing healthcare organizations and brings proven expertise in healthcare organizational development and leadership. Newman, the former Vice Chairman and Chief Operating Officer of Tenet Healthcare Corporation (THC), has served on the CentraForce board since 2015 providing leadership to CentraForce Health, a division of CentraForce. 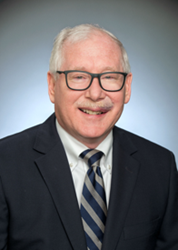 He previously served as Chief Medical Officer at Touro Infirmary in Louisiana and as an Associate Professor of Pediatrics and Medicine at Wright State University School of Medicine in Ohio. CentraForce Health is a division of CentraForce.CentraForce Health’s proprietary platform provides population-centric intelligence that bridges the gap between clinical analytics and everyday patient behavior. Designed for healthcare strategists, CentraForce Health leverages non-traditional data to provide a holistic view of populations through their PopulationCentric Intelligence Platform.